Today, December 20, 2013, is the grand opening of Bistro Rylo in Ocean Township. It is a Euro-Mediterranean restaurant designed to meet Chef Ryan Lory’s vision for a modern and inviting restaurant that will attract gourmands who seek an elevated dining experience at an affordable price. Chef Lory has attended culinary school at the Art Institute of California and was lead chef at the Big Canyon Country Club. He assembled a team of rising stars in the culinary world, including Sam Byrne (originally from Ireland, who has worked throughout Europe at Michelin-star restaurants, including the acclaimed elBulli in Roses, Spain) and pastry chef Ryan Lor (whose experience includes positions at the Big Canyon Country Club in Newport Beach, Calif. and David Burke Fromagerie in Rumson). I had the pleasure of sampling some of Chef Lory’s creations yesterday, during the soft opening. It was a great dining experience, and I hope the restaurant will become a very successful one. 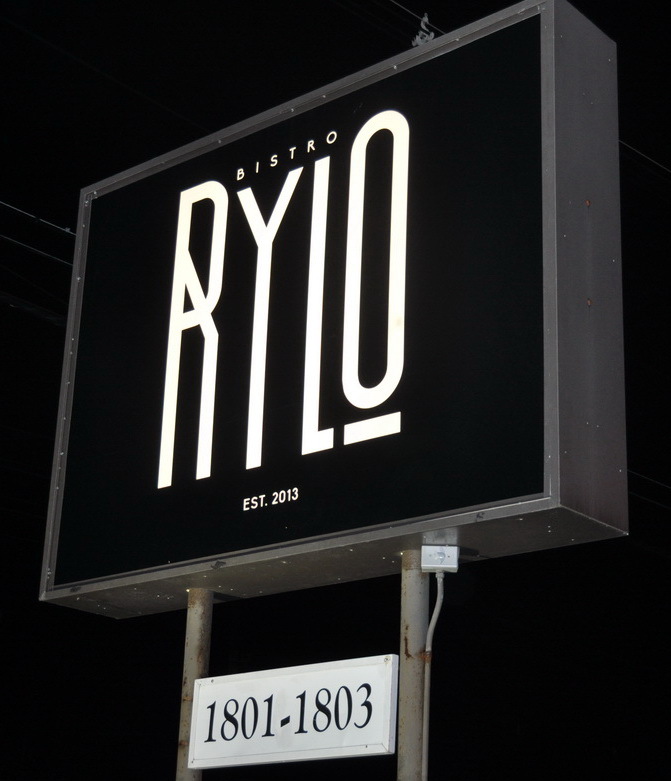 Fine dining has been missing recently from the Route 35 corridor in between Red Bank and Asbury Park, and Bistro Rylo is a long-awaited addition. For such an eclectic restaurant, the prices are very reasonable: appetizers and salads are priced $8-12 while most entrees are in the $24-36 range. Amuse – roasted polenta with goat cheese. 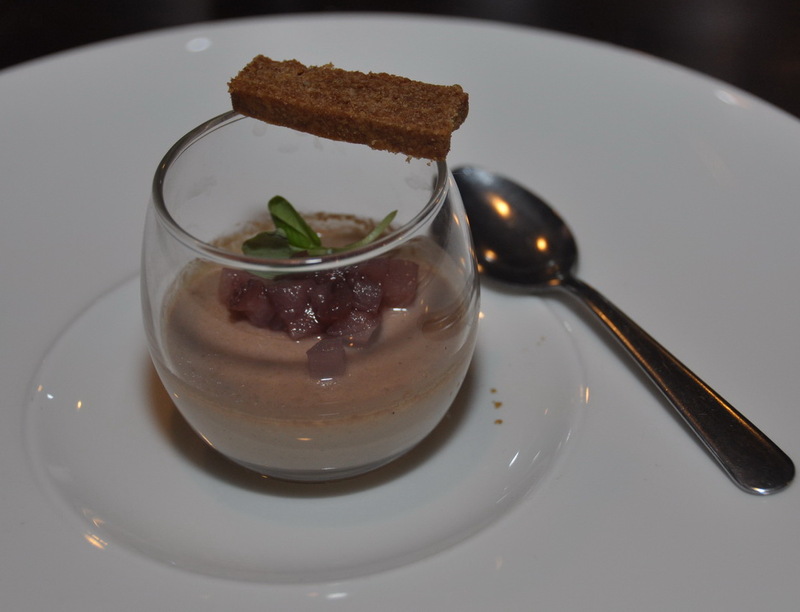 Foie Gras Pot de Creme on gingerbread with poached pear, which gave the fois gras a nice sweet flavour. Day Boat Scallop with succotash and a yeast lager foam. The succotash was delicious, with the slightly spicy mix of corn, bacon and fava beans. 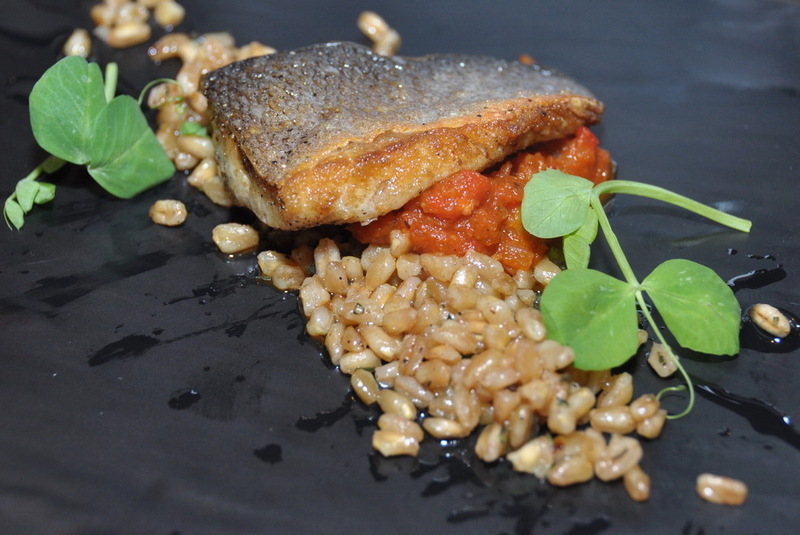 Bronzino with a basque-style stew and farro, a great combination indeed. It was my first time eating farro (a rare combination of wheats) and it was a pleasant surprise. Petit Fors, which was a classic (and very good) mangolasi. Wildflower Panna Cotta for dessert, an elderflower gelee with red berry salad. If this is a preview of the bistro’s regular fare, I can’t wait to come back again. Chef Rylo is innovating with his owns combinations of more traditional dishes. He vows to make his own things in the kitchen, using fresh local ingredients. Bistro Rylo is located at 1801 Highway 35, Ocean Township, NJ and it’s BYOB. 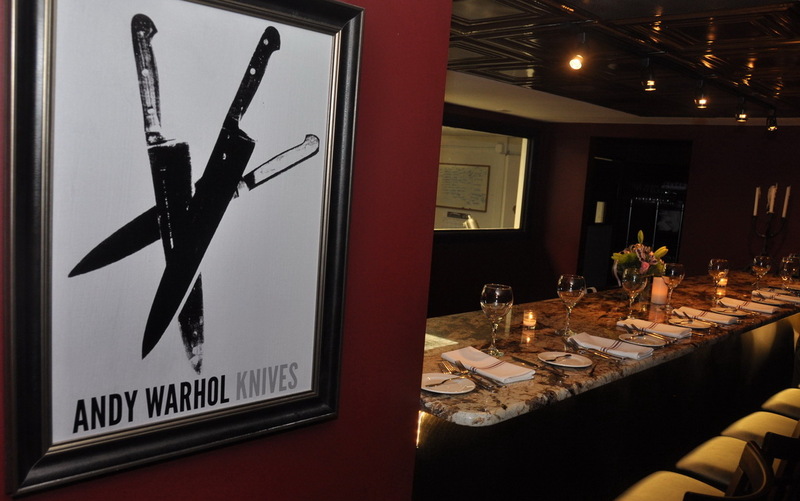 For reservations, you can call 732-508-9686. You can also see more pictures in our Facebook album.